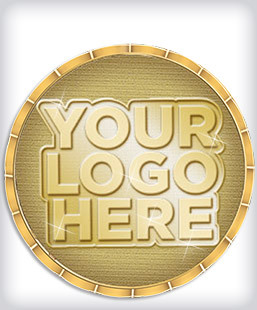 Creating your own CUSTOM LOGO Coin is fast and easy. Our designers will work with your existing design or create FREE Artwork with your order. 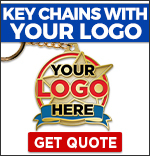 Need a custom logo coin in 24 hours? Crown Awards is specialized in creating customized coins. Whether you want to build your own commemorative coins, challenge coins, baseball coins or insert coins, our custom artists can create it for you. Presenting an individual or a group with a personalized coin is special. We make the ordering process easy so you can get your custom coins quickly. 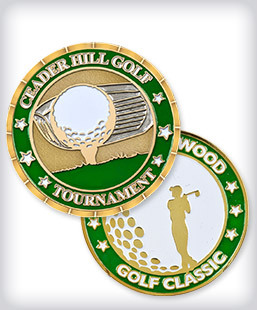 First, choose the style of custom pins you want to design and select either a smooth edged coin or a beveled edge coin. Then select the coin finish in either gold, silver or bronze. 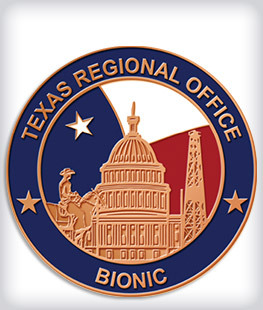 Custom Coins: Up to 4 FREE colors of enamel artwork on both sides of the coin. Each side of the coin may feature your personal artwork or design. Larger coins available. 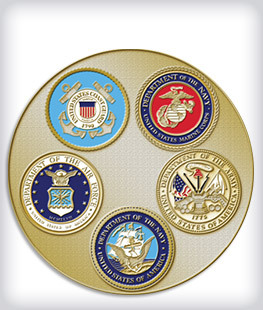 Challenge Coins: Perfect for the military, armed forces and more. 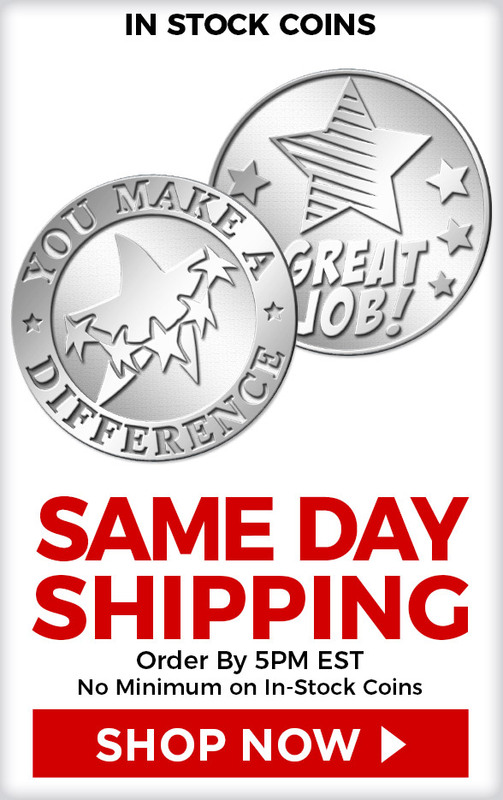 These coins are a great way to reward members of your organization that will last a lifetime. With both FREE art & setup and four FREE colors of enamel, the double-sided challenge coin gives two different areas to include name and logo. 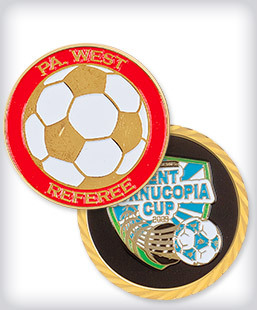 Insert Coins: Available in 3 styles-- Soccer, Torch or Double Insert-- on a gold finish. 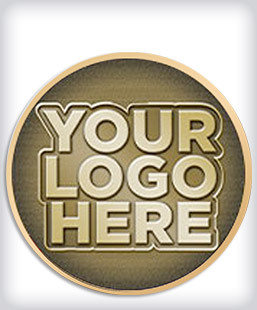 Our artists add your printed logo to our pre-made coin backings. You have unlimited color selection and just a 2-day turnaround. 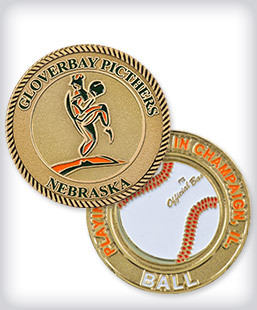 Insert coins are personalized coins perfect for sports groups. 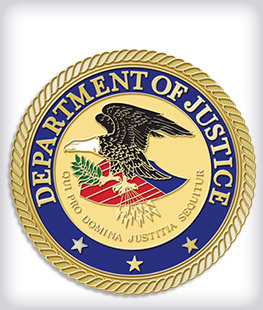 Crown Awards has been the industry leader in custom coins for over 40 years. We are America's largest awards manufacturer and we are proud to offer Crown's Custom Coins to fit any budget and gift-giving ceremony. Crown Awards strives for 100% customer satisfaction and provides our customers with the highest quality products at the lowest prices available, making us your Custom Coins manufacturer of choice. 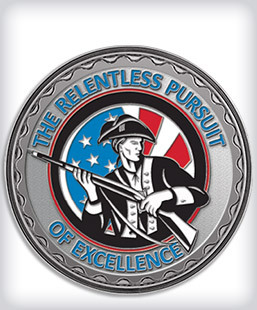 Call 1-800-542-6044 and speak with a custom specialist to order your custom coins today!